Hello and welcome, today I'm sharing a pretty card that has an ink-blended back ground to really make those party bits pop! 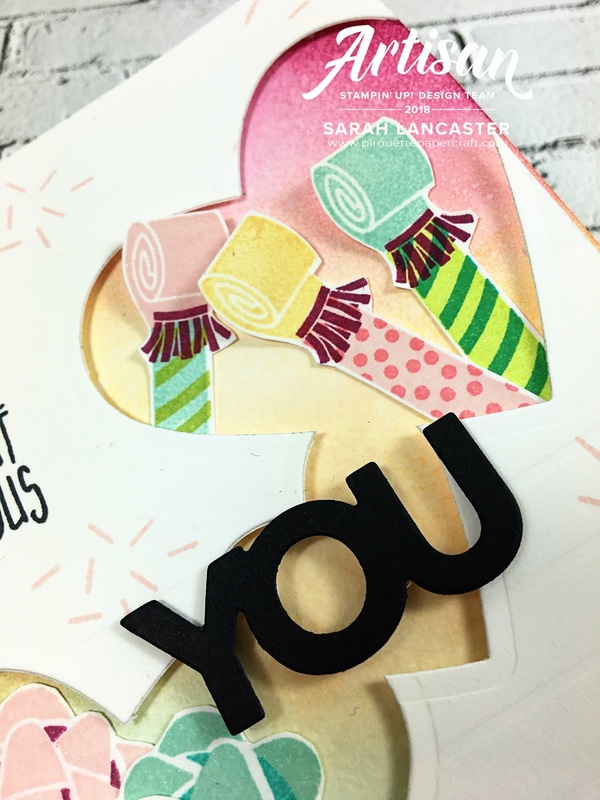 And the Simple Stripes embossing folder helps add a little interest to the white background along with a few stamped party sprinkles. 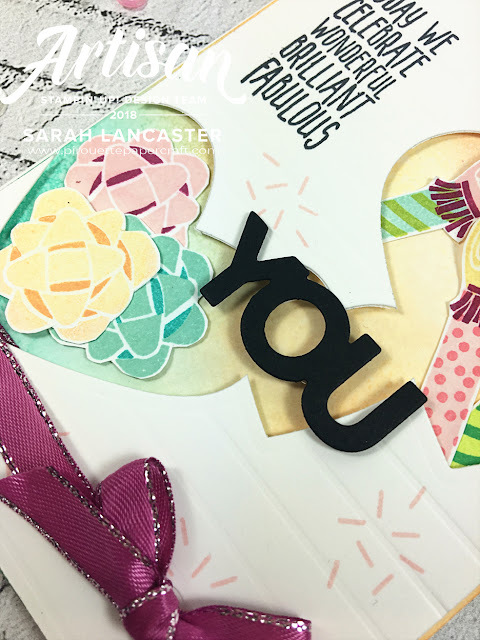 A die cut "You" popped across the die cut hearts background brings a nice feature point to the card.